Plants have the special ability to produce their own nutrients: proteins, carbohydrates and lipids. We use these nutrients each day for food. These plants must be able to adapt to their ecosystem and defend themselves against external stress. As they’re not able to move or avoid aggressions, they have developed systems and molecular defences over time in order to survive. They thereby produce many non-energetic substances called “secondary metabolites” which are involved in their interactions with the environment. These molecules help plants communicate between themselves, attract pollinators, and even ward off aggressors. Some secondary metabolites protect the above-ground parts of the plant against UV rays, which produce free radicals, while others repel insect attacks or even protect the plant against bacterial or fungal infections. To the best of our knowledge, these protective plant molecules are often polyphenols, which also have beneficial bioactive properties for humans. We also suffer from environmental aggressions. Just like plants, our skin is directly exposed to sun damage, air pollution (including cigarette smoke) and the stress of modern-day life. It is also indirectly affected by the harmful effects of our diet, which is sometimes unbalanced and a source of pollutants. These regular attacks lead to a weakening of skin tissue, as well as premature aging. Pinot Noir is the most concentrated grape variety in the world in antioxidant molecules* (polyphenols and resveratrol). 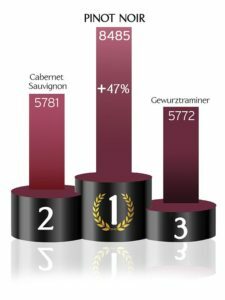 It is in first place at more than 47% of the challenger. The active ingredient we obtain is 10 times more anti-oxidant than a pure Green Tea extract. Vinésime strives to extract the beneficial molecules from plants from the Burgundy region and transfer them to its cosmetic products. The brand is committed to obtaining high-quality raw materials, through eco-friendly and organically-certified viticulture, from the prestigious grape varieties of Burgundy which contain exceptionally high concentrations of polyphenols, are renowned for their antioxidant action, and help fight against cell aging. The crop collected each year during the grape harvest is from the René Bouvier wine estate in the Gevrey-Chambertin region. It is then sent to a plant extractor specialising in polyphenols, where the extract is added to the formulas of Vinésime’s products. Vinésime created the A2OC* Cellular Complex by combining two plant extracts, typical of the Burgundy region. It is designed to stimulate our skin and protect it against daily oxidizing aggressions. This vintage extract, from the “Racine du Temps” vineyard, is from the René Bouvier wine estate in the Gevrey-Chambertin region. Pinot Noir is a prestigious grape variety that is difficult to grow in climates outside of the Burgundy region and which contains a mixture of antioxidant polyphenols. 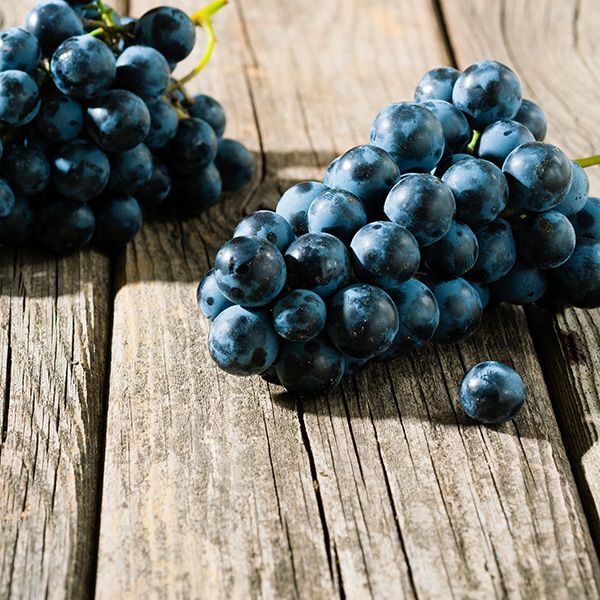 Many flavonoids, such as anthocyanins and oligomeric proanthocyanidins (OPC) can be found in this grape variety, as well as relatively rare stilbenes, in particular resveratrol. This second extract of Burgundy Blackcurrant buds is derived from gemmotherapy, and completes our formulas. Recent research has revealed as many as 43 different polyphenols in these bud extracts, including prodelphinidines, flavonol glycosides and phenolic acids. All of these polyphenols help prevent the oxidizing action of free radicals (which can attack skin tissue), protect skin, and reduce aging. 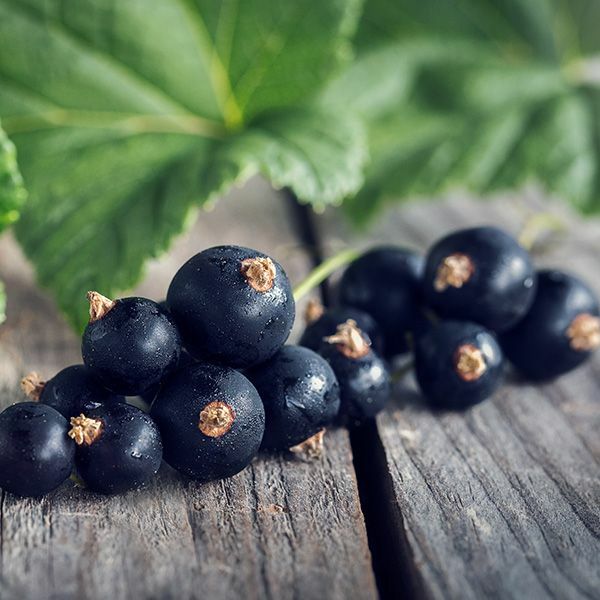 The Blackcurrant bud extract can also stimulate the rate of G6PDH (a key enzyme involved in producing energy from glucose) in the skin, as well as mitochondrial respiration, which produces ATP (an energy molecule used by our cells). In conclusion, the A2OC* Cellular Complex, created from the vines and blackcurrants of Burgundy, protects against various oxidizing aggressions and stimulates energy levels in the skin.